We have determined that sometimes “fine” is simply unacceptable. And it is definitely, at times, not a positive or complimentary response. Let’s say you ask your husband if chicken is okay for dinner. He answers, “It’s fine.” That is cool. HOWEVER, if asked “How was the chicken tonight?” The answer “fine” is the opposite of cool. “How are you doing today?” Fine = acceptable. “Do you like my new hair color?” Fine = unacceptable. “Want to go for a walk?” Fine = acceptable. “How do you like my blog post?” Fine = unacceptable. “How was your fast food cheeseburger?” Fine = acceptable. “How was your steak?” Fine = unacceptable. When my son was 3-4 years old, if he didn’t feel well he did not say “My tummy hurts” or “My head hurts.” He would say “I’m not fine.” Good observation for a little guy. Sometimes what is necessary is voice inflection. 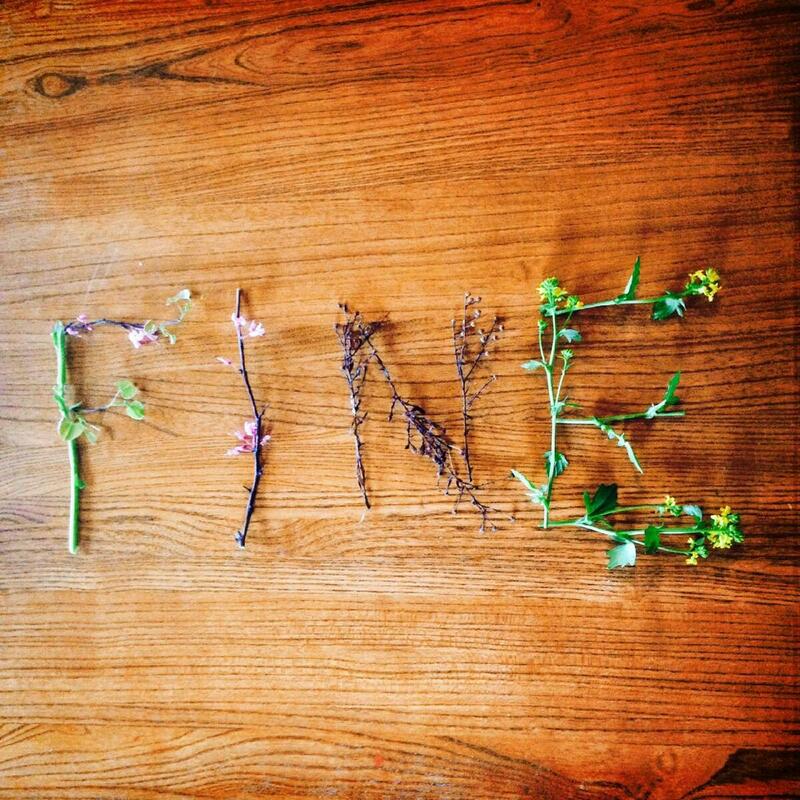 You can say “fine” in a way that people hear “awesome.” And it only takes a tiny bit more effort. What’s your word that should be positive, but turns out to be negative? This entry was posted in daily life, words, Writing and tagged writer's group, writing by PaddleCreekWriters. Bookmark the permalink. Sure is my four letter word!